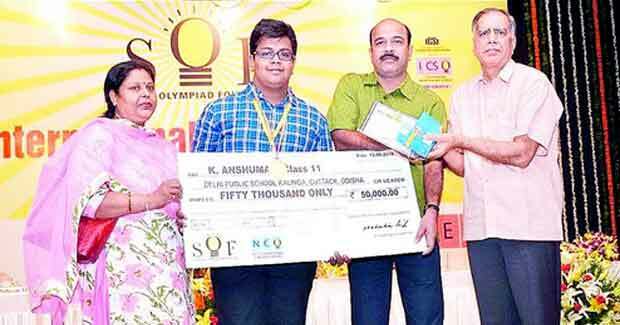 Three students from Odisha ranked first in the National Cyber Olympiad and International Maths Olympiad recently. Shubham Acharya (Class XII student of Mother’s Public School) and K Anshuman (Class XI student of Delhi Public School, Kalinga) ranked first in the National Cyber Olympiad. Priyanka Kar (Class V student of DAV Public School, Chandrasekharpur) ranked first in International Maths Olympiad. All three were awarded with a gold medal and cash prize of Rs 50,000 each. The Science Olympiad Foundation has been conducting these events for 20 years. This year, the foundation conducted four Olympiad exams, including the National Cyber Olympiad, National Science Olympiad, International Mathematics Olympiad and the International English Olympiad. Five lakh students from across the country and abroad had taken the exams.